We Can Create an eStore for Your Company! Corporate eStores make it easy for employees, salespeople, franchisees, etc. to securely purchase personalized products, apparel and marketing materials online, 24/7. Learn how an eStore can save your company time and money! 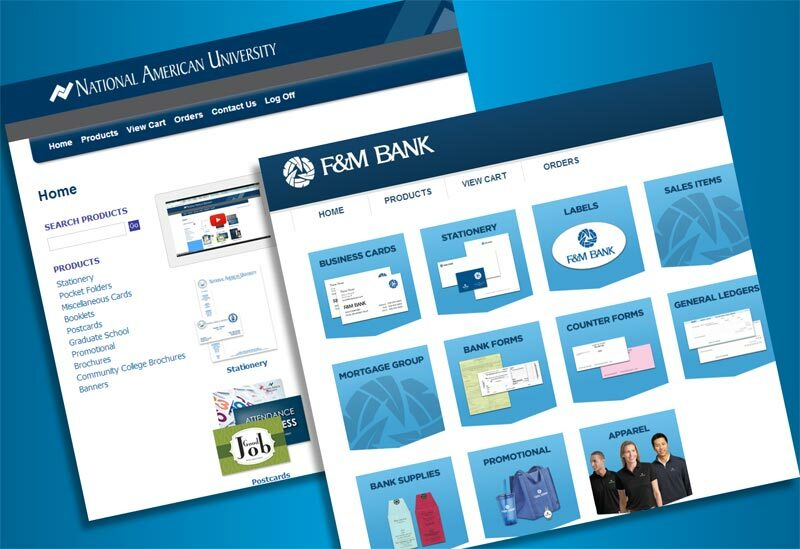 Imagine logging into a website with pre-designed templates created specifically for your company, where you could order business cards, marketing materials and promotional products for your company, view virtual proofs instantaneously and schedule shipping for one or multiple locations anywhere in the world—all within 10 minutes! 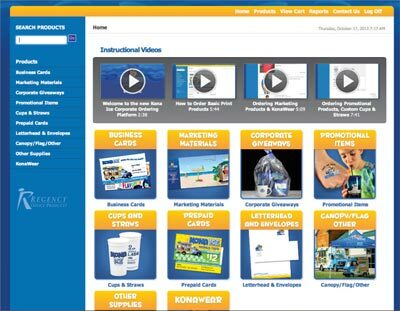 It’s all possible with Coastal Office & Promo Products eStore storefront platform, which hosts templates created from the artwork files you provide or we design for you. The templates have areas of text that are modifiable, making it easy and cost-effective to make changes and place orders for most of your company’s branded materials. Over one billion dollars per year in print and collateral transactions are sent through these platforms, and more than half of Fortune 500 companies utilize this system. Take receipt of your existing inventory. Don’t worry, we don’t expect you to wander through your warehouse or storage room and count it all…just ship it to us and we will inventory your stock and enter the numbers into your database…giving you a fresh starting point for tracking and accountability. Purchase printing, supplies and promotional items at a discount. You will be able to leverage our buying power to order larger quantities and save significantly on the per-unit cost, while spending less time on purchasing, managing, invoicing and tracking activities.